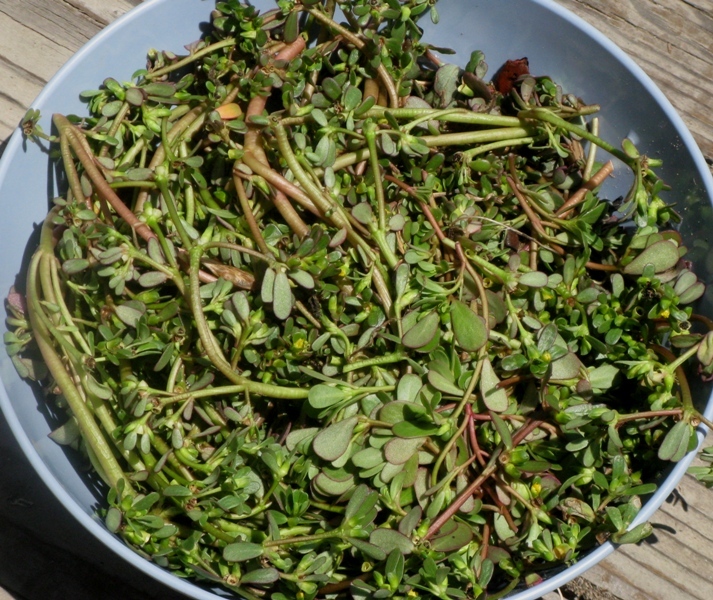 I had the good fortune of learning years ago (Boy Scouts, cooking merit badge) that the common weed purslane (Portulaca oleracea) is edible. Outside the United States, it is widely used for soups and salads, and as a medicinal herb. Those in the know know that it has the highest level of omega-3 fatty acids of any leafy vegetable. I like its sort-of-crunchy texture, even when cooked. A few years ago I transplanted some from my front yard to my backyard and began cultivating it for consumption. This year I’m getting a great crop. Yesterday and today I picked a couple bowlfuls and ate some fresh, while freezing most of it for future use. The Wikipedia article has a picture of it in a Greek salad. I’ll have to give it a try in my favorite summer salad: tomatoes, cucumbers and feta cheese. I encourage you to check your yard for it and give it a try. Growing food doesn’t have to be hard, but can be as simple as pulling a few weeds. OMG, you’re the only other person I know who thinks the garden weeds are valuable enough to freeze! I just froze redroot (amaranth). I pick the tender tops and leaves in a big bag then go back and crumble it after it’s frozen solid. I use it wherever “chopped spinach” would be suitable–the flavor is very similar. Each year I take a wild greens lasagna to my community potluck. No wonder puslane has such a rich flavor–high in omega 32s! Here’s another way to eat purlane–since it has a slightly mucilaginous texture and wonderful flavor similar to okra, it works great in a recipe for Indian “Bhindi Ki Subji” (stir-fried okra)”. Google it! –but leave out the tomatoes. Have you ever tried it in Jambalaya? I meant to say gumbo. 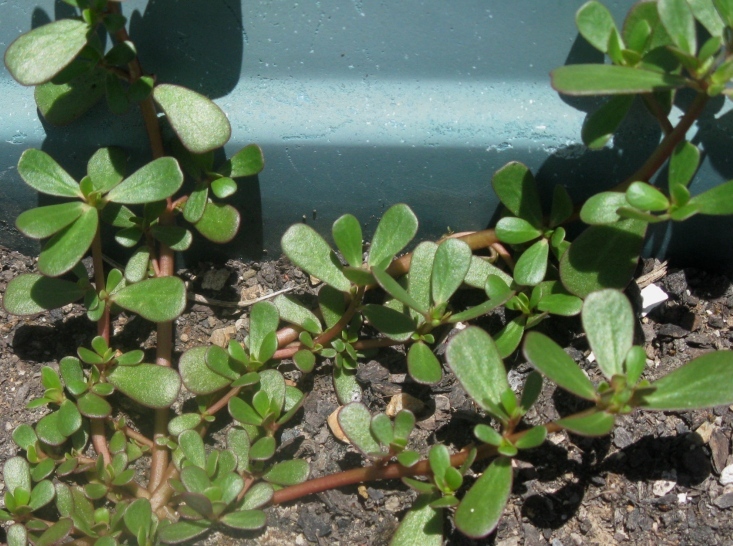 It seems like purslane would be perfect for gumbo.